Closed: 5"; Blade: 3.5" l S35VN Stainless l Standard Edge l Stonewash Finish; Handle: Titanium; Other Info: Lanyard Hole l Pocket Clip l Extended Tang l Thumb Stud(s). External toggle lock. 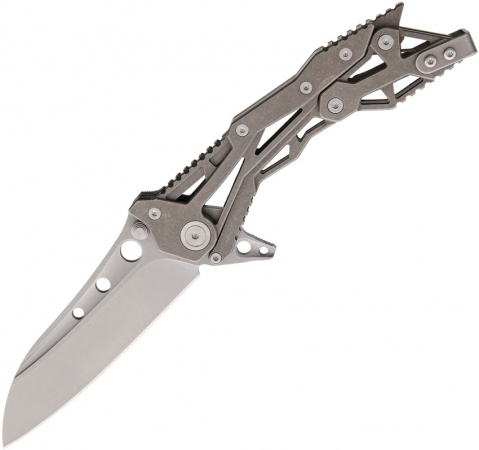 Wharncliffe blade. Ceramic ORB pivot assembly. Serialized. Certificate of Authenticity. Boxed.